Prague offer excellent shopping choices and the selection have been through large improvements during the last two decades. A key difference between now and then is the rise of large shopping malls and hypermarkets, which transformed the market and selection of goods completely. 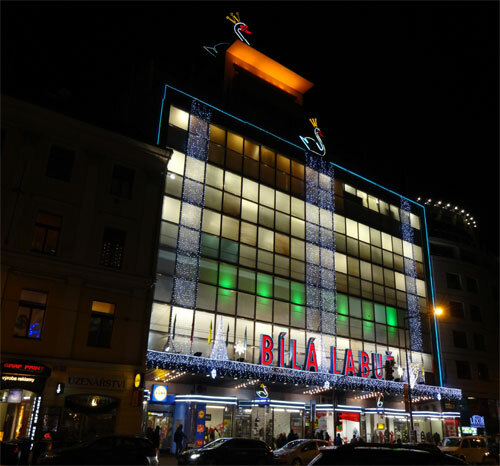 Modern retailing has a long history, though since the first Art Deco styled department store, Bilá Labút opened. This establishment marked the entry into a new era of shopping for the city and survived the system changes in 1948 and 1990. 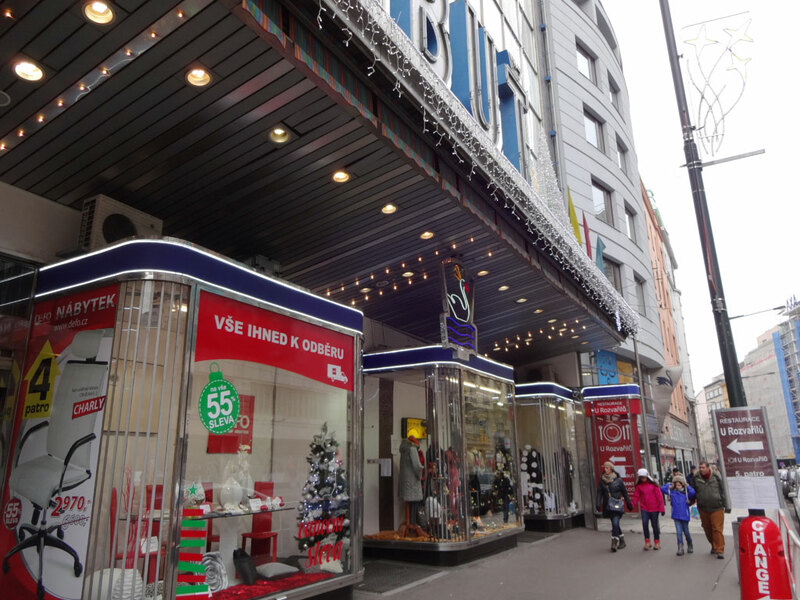 Two new stores were opened at the Vaclavské Naměstí to supplement it, namely “Dům Mody” (House of Clothing) and “Dům Potravin” (House of Food), which became main providers of those two categories of goods during the Communist era. 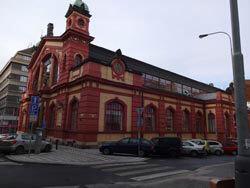 Later, a very centrally located department store, Máj, opened at Narodní Třida and became one of the last retailers opened by the government. 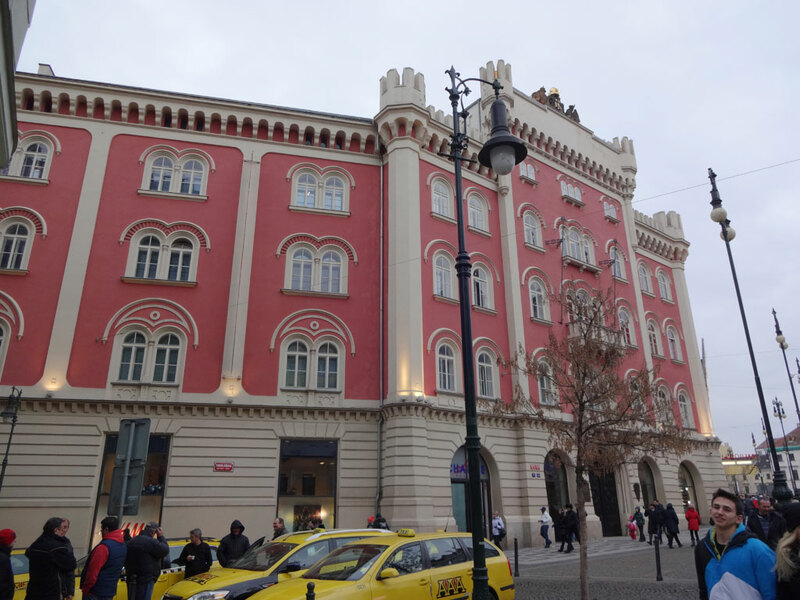 This particular building was also center for a controversy about naming streetcar stops after businesses and a big question mark was put up about the name “Narodní Tesco” (the Máj was purchased by the British Tesco chain after the velvet revolution). 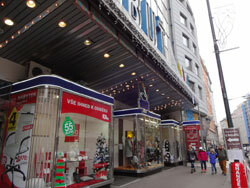 A Swedish designed department store also opened in the 70s, Kotva. This building is a very modernistic design of a very typical styling of the era, partly reminiscent of some suburban designs of Stockholm and provided a “Western Style” retail experience to the population and it is still up and running. 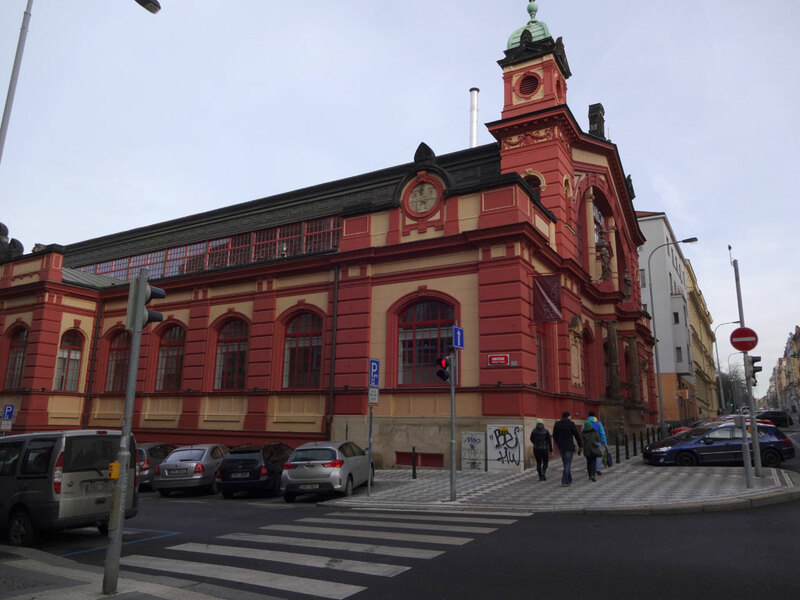 During this time, Prague were supplied through small stores, which also resulted in an under dimensioned retail system, which then became a huge market enabler later on. What happened during the period of 1990-2015 is almost a miracle; huge hypermarkets opened up in the different suburbs and shopping malls came into being at an astonishing rate, while Western brands flowed into the market and transformed the whole landscape. One example of this is the Nový Smíchov mall, which was constructed where the old Tatra/Ringhoffer streetcar and railway rolling stock factory were located. As late as the early 1990s, the vehicle production was going on before everything got closed down and later demolished, leaving a huge open space in a pretty central location. It took a couple of years to get all contracts sorted out but then, construction began and the large mall complete with a French Carrefour hypermarket opened its doors in 2001 (this chain abandoned the country shortly after and Tesco took over their stores, some of them under still construction). One of the largest retail projects in the city was then devised in Letňany and started out with the Tesco Hypermarket as phase 1, followed by a swimming bath/fitness center and a mall with 206 shops, movie theatre, food court and also apartment renovation and new construction. An extension of the Metro line C then put all of this within convenient reaches and reduced the commuting times noticeably. Today, this complex is well worth a visit since it offers excellent shopping and entertainment possibilities paired with attractive pricing. One product, which is very popular among tourists are fine Bohemian crystal items and the city center offer a lot of stores selling everything related to decent prices. It is interesting to note that the Prague 1 area around the Old Town Square is so well covered by those retailers that one can be seen in almost any direction. 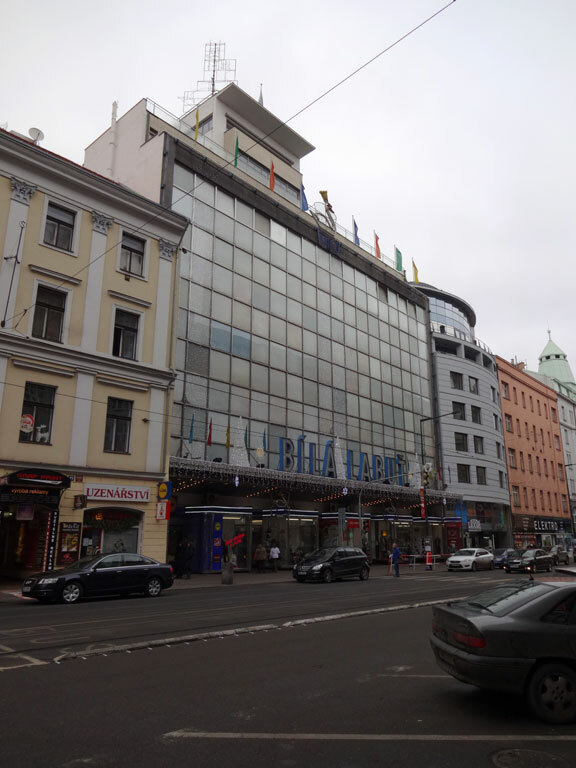 The best way of finding a great selection of products is to move out of the most touristic parts of the city center, which requires just a short walk to a place such as the Palladium mall or Vaclavské Naměstí where the options appear. There are two types of store common in the pure tourist area, namely money exchange and crystal/souvenirs, which makes the detour worthwhile. 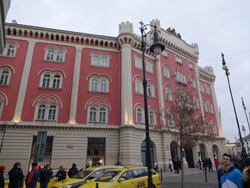 This is the former Máj department store, mentioned before. It is recently renovated and offers a wide selection of products within different categories such as clothing, electronics, crystal, shoes and more. Many famous brands are represented. A Tesco supermarket is located in the basement, which provide a decent selection of groceries. Even if the architecture is quite bland, it is an interesting insight in how retail was conceived in the 80s. Directions: Metro B to Národní třída or streetcar 6, 9, 18 or 22. This is the mall constructed on the spot for the Tatra/Ringhoffer streetcar/railway car manufacturer and a section of the former assembly hall remains as a memory. It is the largest shopping center with a location close to the city center and offer a lot of different stores selling everything from clothing to computers, including electronic supermarkets such as the Czech analogues to Best Buy (Electroworld and Datart Megastore). A two-floor Tesco hypermarket is a key attraction of the mall and it offers a big selection of groceries and other everyday products to great prices. 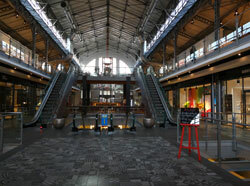 There is a multiplex cinema available in the center and a couple of eateries. 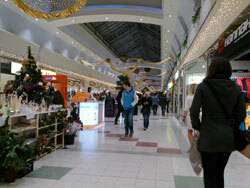 This can be categorized as the mall of the malls in the city and is highly recommended for any shopper. It is also an interesting study in suburban development since it was initiated as a multi-stage project where the Tesco Hypermarket and recreation center with pool came into existence as the first parts. The task was to supply the suburbs of Prosek and Letňany with a decent shopping experience since there were a lack of options but it turned into a total redevelopment, which also involved housing and became an initiator of apartment complex renovation in the areas as well. Nowadays, it provides approximately 206 different shops covering all the famous brands and product areas together with a modern and elegant environment. A decent multiplex cinema and food court is available; this place was originally equipped with a prepaid card payment system, which was unique at its inception but later replaced. It is possible to have a decent lunch for a very attractive price of around $3-5 including something to drink, which is also a way of getting in touch with the non-touristic pricing level of the city. 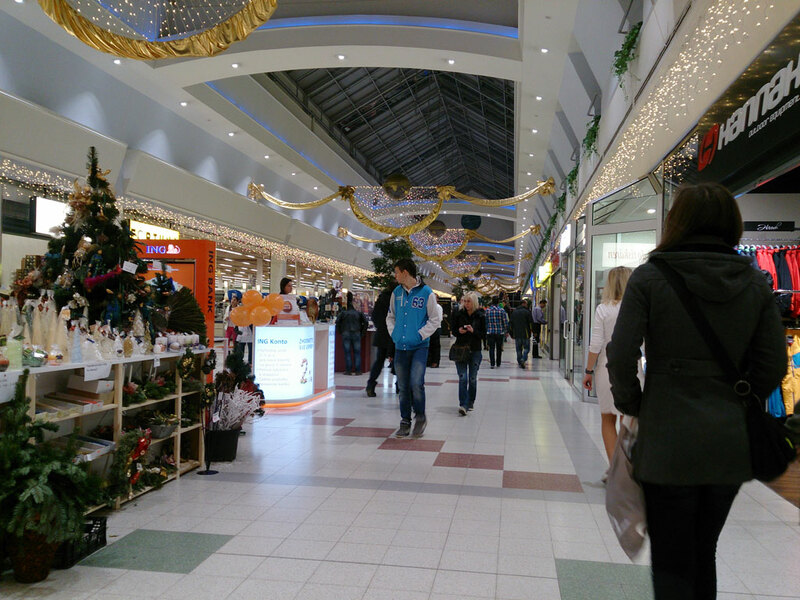 This is the most recent mall opened and it is located at the Náměstí Republiky, opposite of Kotva and close to the Obecní Dum (Municipal Hall). The exterior consists of beautifully renovated old buildings, which make it a fascinating blend of old and new. The inside is modern and airy; with a lot of open spaces and atriums while the store selection is decent and cover most things. One convenient detail with the mall is that the restaurants are located on the top floor, making it easy to find and choose what to eat. There is no regular food court available; table service establishments are the norm. 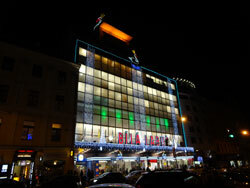 It is necessary to mention this department store due to its historical importance. 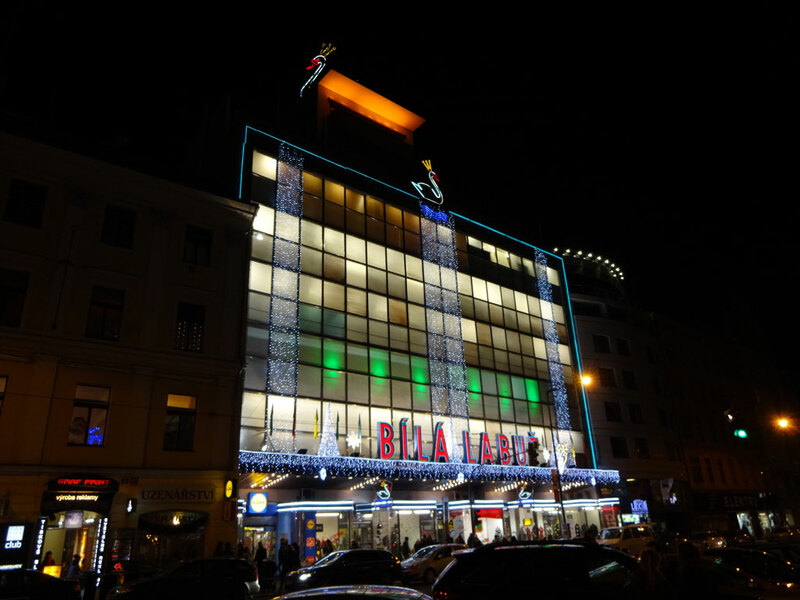 Inaugurated in 1939, it was the arrival of modern retailing to the city and the Art Deco design with elegant rotating swans (one on top, two above the entrance level) is a spectacular and quite romantic sight during the nights. Unfortunately, most of the spaces are empty nowadays so the shopping experience isn’t what it used to be but the historical importance makes it worth to visit. A Lidl low-cost supermarket is located in the building, offering their own store brand products of good quality to low prices. There has been some dismissal of the Bilá Labútas a “communistic” establishment, which isn’t a totally accurate statement. It rather provide a glimpse into a bygone era and how modern retailing was conceived in the 30s since many parts are original from that time, including the exterior with its Art Deco front windows. This is a former market for fresh produce and meat built in a Spanish style but now converted into a small local shopping mall complete with its own supermarket at the basement. It provides a nice upscale experience with some exclusive shops but is also a testament to different architectural influences in the city. The focus is on furniture and design after the recent renovation in 2013. On Sunday, the entrance is opened only from street Vinohradska. Atrium (formerly Palac) Flora is a large mall with a large selection of shops and restaurants including more specialized categories such as audio gear that are not found in “every mall”. A highlight of this location is an IMAX cinema, which itself is worth a visit as it is quite unique in Prague. This large complex is located at the western terminus of Metro line B and provide different stores such as a Tesco Hypermarket, IKEA and other large chains. 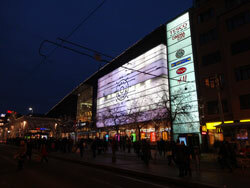 It represented the introduction of large scale retailing in the city and the beginning of a new era when it was opened but it lacks the refinement of the Letňany Mall. Despite a few years between inaugurations, there are noticeable differences in layout and general structure of the two Tesco’s, which also represents the evolution of consumer preferences and maturity toward the concepts. Metropole is a large mall located at the metro station itself and provide the traditional mix of brand stores and a multiplex movie theater. It can be a convenient place for last minute shopping before heading to the airport (via bus line 100) even if it is smaller than some of the other malls mentioned. A fitness center is also provided as part of the services. Directions: Metro B to Zlíčin, walking distance to Metropole, shuttle bus every 3-5 minutes to Avion Shopping Park. 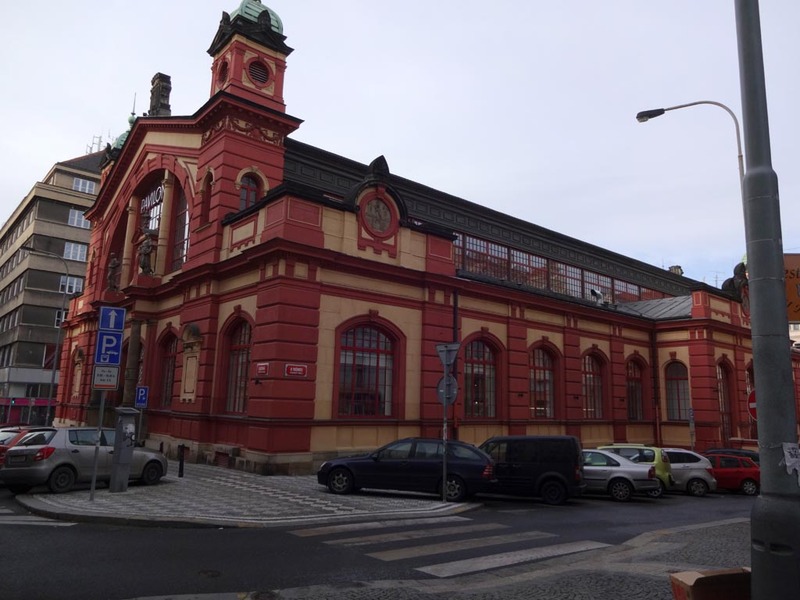 This is a huge record/movie store located at the Koruna Palace at Vaclavské Naměstí and has become a more unique place now due to the development of online services. Their selection of classical music and Czech folk/pop artists is excellent and a great place to visit for finding typical pieces of the country. They are also providing a decent selection of Czech movies, some of them with English subtitles. Founded in 1993, this bookstore is the largest one specialized in English language books, which make it a must for visitors. Approximately 10 000 titles are available from many different categories and there is also a used section. Since most other stores are dedicated to Czech language literature, The Globe is an interesting alternative and well worth the visit. They are also offering one of the largest children book collections of Prague, which is another reason to check them out.